I inserted King Diamond’s “No Presents for Christmas” into a Christmas playlist when people who aren’t exactly fans of metal were around. I think the song is a ton of fun, a festive heavy metal tune with King’s iconic vocals making it all the more joyous. Another person said it was terrible, just loud guitars with some guy wailing over top. A cheeky physicist might say that it’s just air being moved by soundwaves. None of these approaches would be wrong, and therein lies the fun and difficulty of reading reviews. I think it’s worthwhile to make my approach to Unearth’s new record Extinction(s) clear. I’ve always liked Unearth’s style of metalcore, which I first encountered on the genre classic The Oncoming Storm. That’s their high-water mark for me, and the sound of Americanized Swedish melo-death with the breakdowns of metalcore hit both the melodic and kinetic sweet spots. Yes, structurally it was predictable; you could bet successfully that if there was a chugging bit then a melodic one was right around the corner or vice versa, but it worked like gangbusters. The more Unearth adheres to their established sound, in my view, the better. Adhere to this sound they do on album highlights “Incinerate,” “No Reprisal,” “One with the Sun,” “Survivalist,” “Dust,” and “King of the Arctic.” Each of these songs effortlessly alternate between earworm melodies, great Slaughter of the Soul style riffs, and punishing breakdowns or chugs. It’s kryptonite for people who refuse to hit the gym. “Incinerate” is notably great and ranks up with “Zombie Autopilot” and “My Will Be Done” as an Unearth highlight. Essentially this puts it in the top tier of metalcore songs overall, which is no faint praise from someone who non-ironically enjoys the stuff and “grew up” with it in their metal fandom. 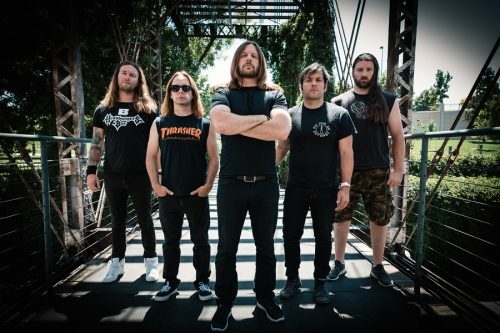 All of this is to say that if you’ve ever liked Unearth, the songs named above are firmly in their wheelhouse, show no evolution, and are effective as Unearth songs. If you’ve never like the band, these won’t change your mind. The differences from the usual Unearth approach aren’t marked in the usual sense of the word, but noticeable to fans. “The Hunt Begins” revolves around a riff that could be mistaken for Gojira, but mercifully removed from the long-winded progressive tendencies and whale noises. “Hard Lined Downfall” is the biggest outlier, sounding like Slipknot when they were worth listening to (the Iowa/Volume 3 era). It reminds me of a better “Welcome,” which is one of the underrated gems on Volume 3. The riffs all charge ahead with low-fret intensity, and the lack of any melo-death elements makes it feel a bit unlike Unearth. It’s a good song as the riffs are potent but remember: the less Unearth deviates from their 2004 incarnation, the more I like it. “Sidewinder” does essentially the same thing, utilizing string bends to great effect and ending on a wonderfully typical buildup with toms a-poundin’ and guitars a-chuggin’, leading into the breakdown I expected. The predictability is a virtue, because it’s exactly where the song was headed and just where I wanted it to go. “This good-looking pizza tastes like good pizza” is not a complaint a sane man would make. Unearth occupies a place akin to Kataklysm for me. The more they do exactly what I’ve come to expect them to do, the better. Both have a knack for writing good songs in their chosen veins of metal, and to expect the expected is to expect quality. 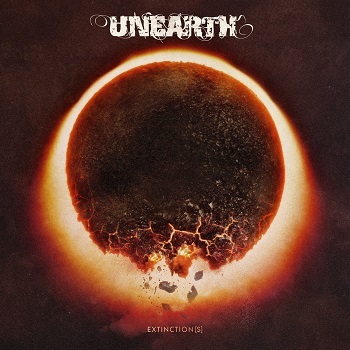 Unearth have delivered the goods and will probably not grow their fanbase much upon the release of Extinction(s). Whether or not this is necessary depends on whether you want to hear more of Unearth. For a casual fan, three or four songs would make an adequate set for a band they enjoy in passing. The people forever chanting for one more song would disagree and want more of the band they love. If you heard one Unearth record and thought “meh, fine” and quickly moved on, Extinction(s) probably won’t do much for you. If you’ve ever liked Unearth and want to hear fresh material in their usual vein, Extinction(s) is exactly what you’re looking for. Yes, it’s stuck in 2004 and acts like 14 years never passed – discuss it on MSN Messenger with your friends! – but that’s where the primo material in this little subgenre tends to be; 2004-2008 were the golden years. Unearth isn’t regressive, just still in their prime.